Last night marked Eating Out #1 for this week. 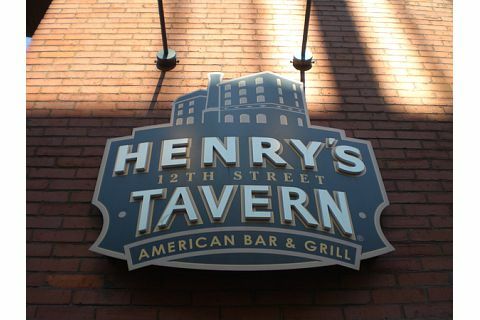 Michael and I met his dad and step-mom at Henry’s 12th Street Tavern for dinner. Michael’s dad is a Beer Expert (seriously, that’s his job). 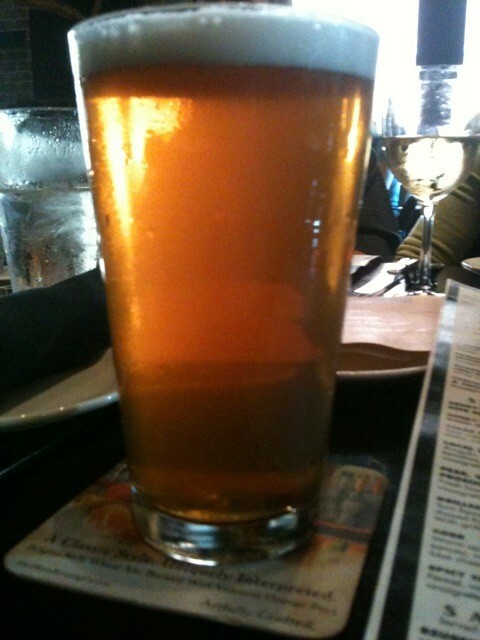 He recommended I try the Bridgeport IPA, so that’s what I ordered. It was a nice, light IPA and I liked it a lot. 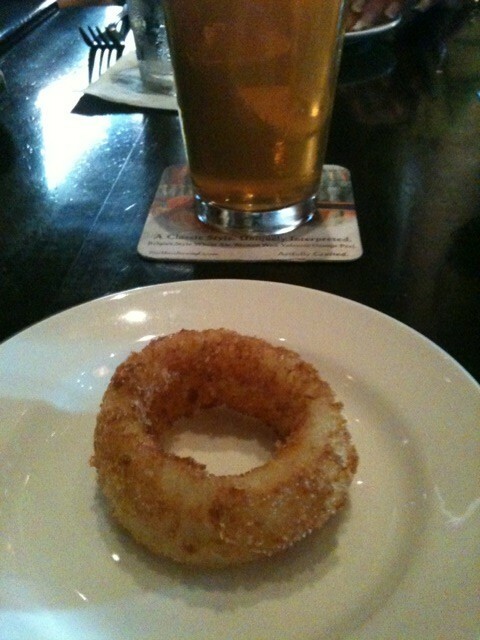 I was famished and the onion rings ARE pretty tasty….I ate two only. 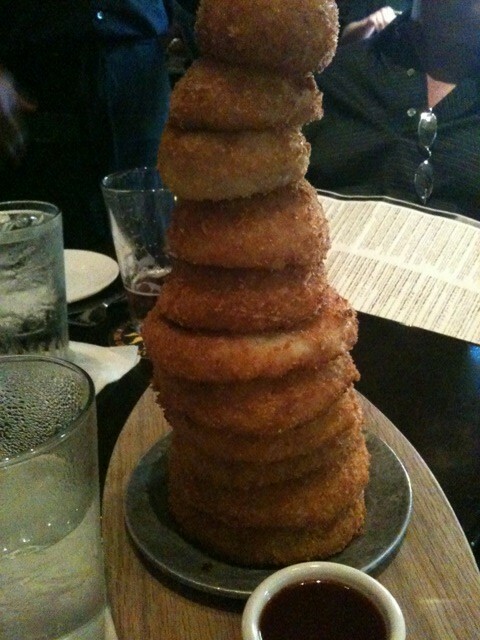 And I made sure that I ate two from the top because they were smaller! The next dilemma was what to order as an entree. 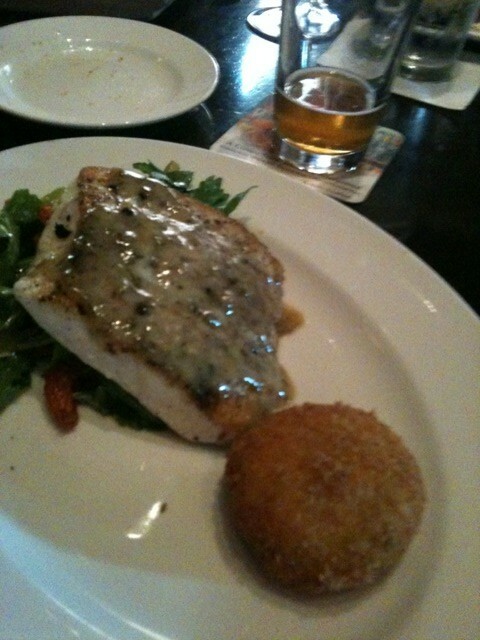 After weighing the pros and cons of the two entrees I wanted, I decided on the Halibut. 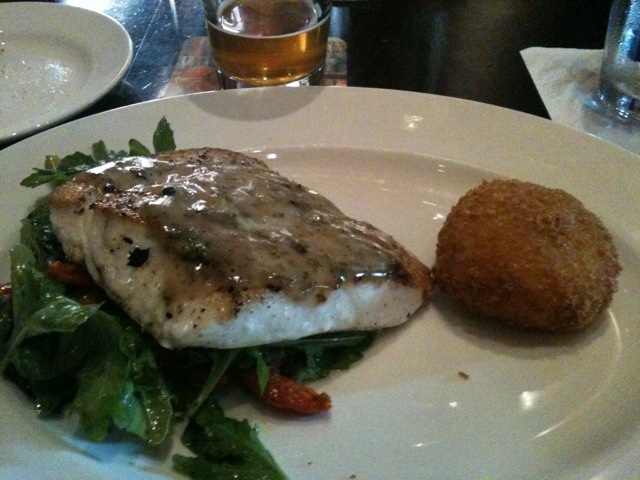 It was a sea salt and pepper crusted halibut with a balsamic vinaigrette glaze. My entree was okay. I think I’ve discovered that halibut is not my favorite fish. It’s a bit on the dry side. I’d rather eat a trout or salmon. I ate half of my halibut and saved the other half for lunch. After dinner at Henry’s we all walked a few blocks in the Pearl District to Cupcake Jones. 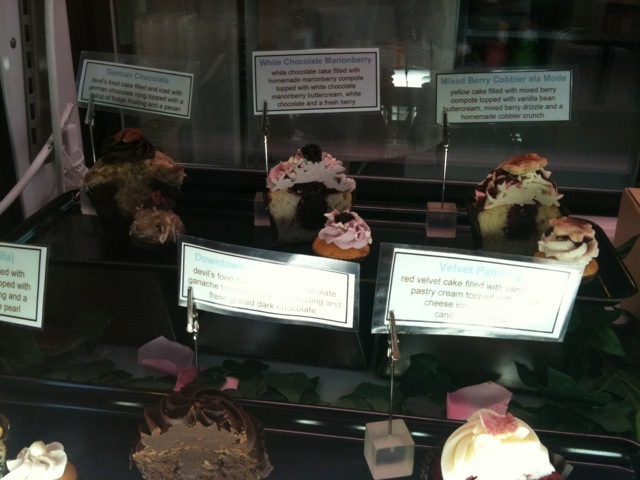 I’ve walked by Cupcake Jones a million times and never gone in. Last night I finally did. 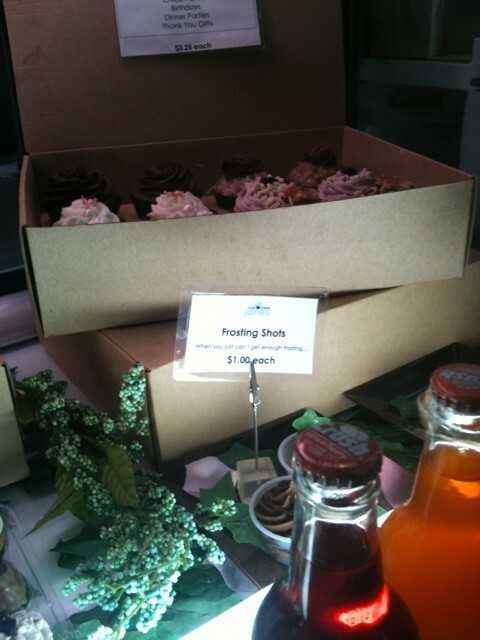 There was also an option for a “Frosting Shot”? Seriously! 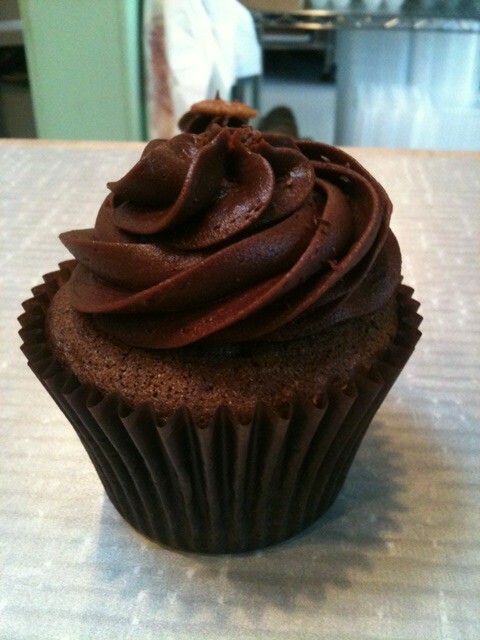 A cup of just the frosting!!! I was floored. At first I was going to get the 1 bite mini cupcake but Michael talked me into splitting a big sized cupcake with him. We got the chocolate. It was gooooood. I loved the frosting. I think it was a cream cheese frosting. 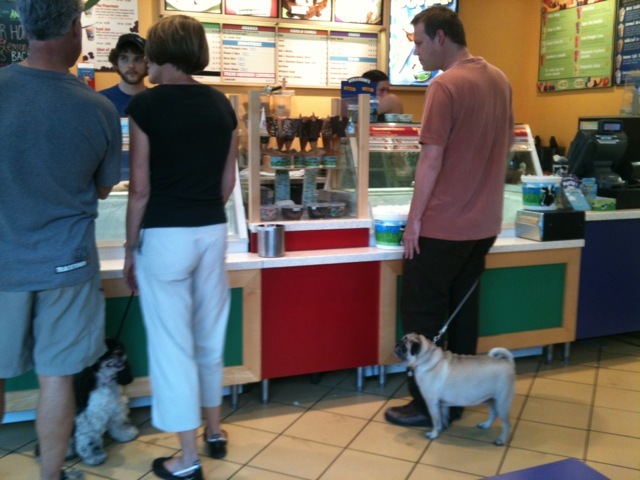 We left Cupcake Jones and strolled passed the Ben and Jerry’s (Michael wanted to stop for ice cream but I held strong :)). We took them to Powell’s City of Books and then called it a night. It was a really nice evening and I enjoy spending time with Michael’s family. The weather was perfect too. I have no idea if I was smart with my food last night. I feel like I made some good choices and a few bad choices (2 beers + a cupcake!). 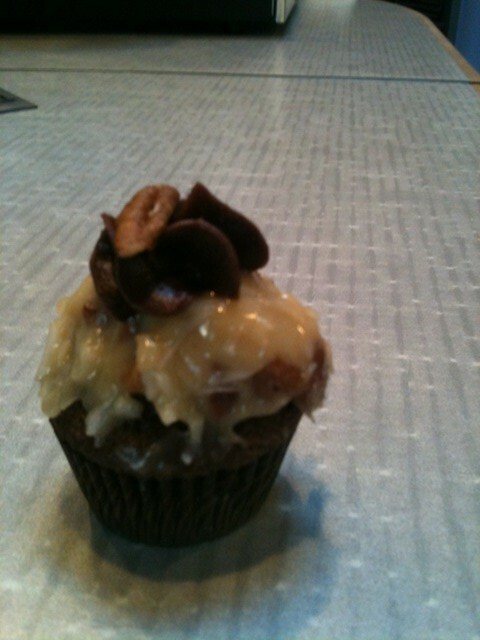 That german chocolate cupcake looks to die for!!! I think you did pretty well. 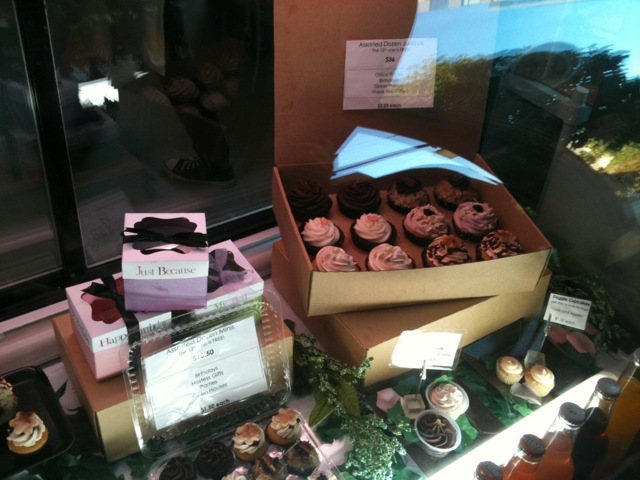 I would have lost it over the onion rings and marionberry cobbler (I’m kinda over cupcakes). I try to limit my fried foods, calorie-wise and they hurt my stomach. I’m also kinda “meh” about halibut – I always wanna be better than it is. Think about what you would have eaten if you weren’t “watching it.” That’s the difference you can be proud of! 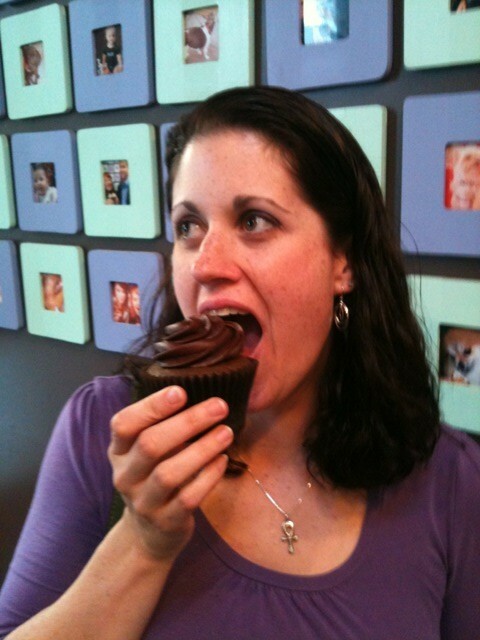 That cupcake looks HUGE – and good. Sometimes you just gotta live!